As a parent of 3 boys, I can tell you one thing is for certain. All of them are different. Sure they all spit up on me, tugged on my hair, and pooped right up their backs. But when it comes to personality, they couldn’t be more different. 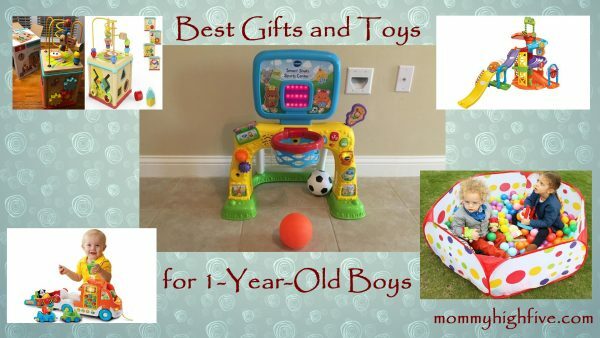 So, if you’re looking for a gift or toy for your 1-year-old boy, you may find it frustrating that no one has a one gift fits all kind of answer. Should you get something educational, fun, or practical? Ultimately, you’ll have to decide. To help you with that decision I’ve created a list of 15 of the hottest gift ideas for 1-year-old boys in 2018. So, whether you’re looking for a birthday or Christmas option, you should be able to find something here. Almost all boys love cars. And the VTech Pull and Learn Carrier is not only fun, it’s also educational. The truck comes with a frog, skunk, and bird that are recognized when your child places them in the front seat. The truck itself is interactive in several ways, including asking the child to find a particular animal. The side of the truck holds a removable CB radio with 12 buttons that introduce numbers, colors, and music. Included with the truck are a couple of cars that have a ready to go sound that plays once you load them up. There’s a ramp on the truck as well which can be put down to use with the cars. As cars are played with nearby there’s a proximity sensor that interacts with your child. 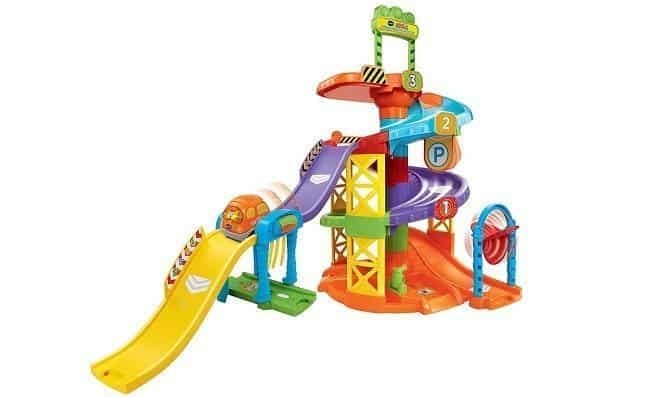 The VTech Pull and Learn is a great choice as a toy that’s both educational and fun for just around $25. It stands up to toddlers who like to throw and bang on toys, and its many options for play will make it one of your 1-year-old’s favorites. 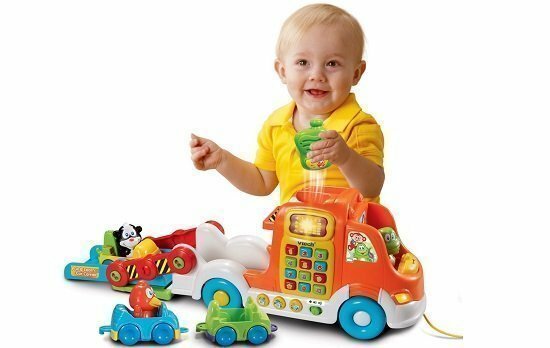 You may want to pair this toy with VTech’s Smart Wheels vehicles and Fisher Price’s Little people for even more ways to play. Whether you’re in the living room, outside, or on the beach, this inexpensive playpen is a great option. It’s advertised as a ball pit, although balls are sold separately. I find that a combination of toys and balls works the best and the playpen is good for keeping everything inside. If you go the ball route, I recommend you at least purchase a 200 pack of balls. This is typically around $20 to $30. Full Disclosure: The pit will not stand up to a 1-year-old who wants to walk out of it. That being said, I’ve found my 3-year-old loves to play in it as well. If it were just a bit bigger, I might just jump on in as well! This is a fun and inexpensive playpen that folds up nicely to take with you wherever you go. 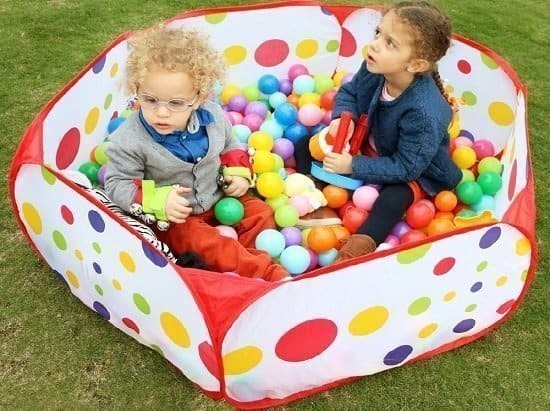 It’s not a playpen that includes balls and will keep your child entertained and trapped inside all day. That being said, we’ve had a lot of fun with this one and as I mentioned it entertains some of my other kids as well. This activity cube from Top Bright combines 5 different activities in 1 cube that encourage sensory stimulation and brain development in young kids. Activities include bug sliders, gears, pointers, wooden block shapes, and a bead maze on top. For design, the cube has been kid-proofed with non-toxic paint and smooth edges. It’s made of maple, which means it doesn’t contain the harmful chemicals that can be found in plastic. The dimensions for the cube are 6 x 6 x 11.8 inches. So, it’s fairly large but may not be as big as you think it is. For my boy, it was a perfect size. The top of the cube is reversible and opens. If you flip it up, you get the bead maze and if you put it down it’s ready for storage. This is a great wooden toy. I want to reiterate that for me I thought it would be a bit bigger. Having seen my toddler play with it, it feels like the perfect size. However, I felt a bit misled from the start. That being said, he loves the various activities and especially the bead maze. It’s simple to store it and put it away. Having paid around $25 and considering it’s made of wood, I felt I got my money’s worth. Every parent wants their one-year-old to become an Einstein Michael Jordan. And while that probably won’t happen, you can at least start him out on the right foot. 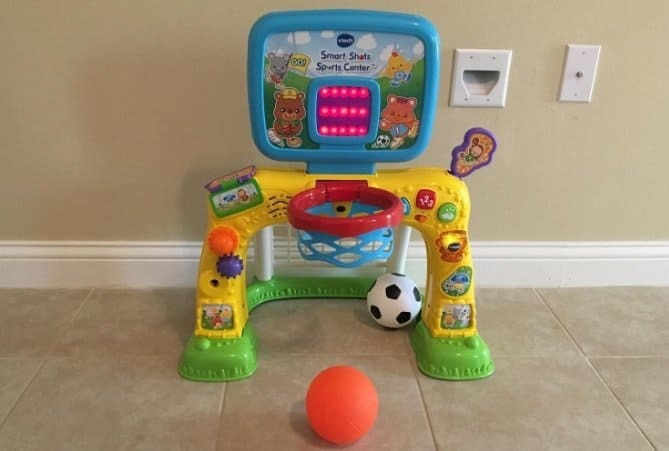 The Smart Shots Sports Center from VTech is not only fun, it’s educational too. Your boy can bounce a ball, score a basket, or even slam dunk the ball. The scoreboard lights up and sings a song whenever this happens. I have to admit I play with it too, shooting balls from the couch. Like a lot of VTech toys, you’ll find educational buttons on the front of the hoop as well. These introduce shapes, numbers, and sounds. For sounds, the Sports Center plays more than 50 songs, sounds, and phrases. I’m not typically a fan of the music that loud toys play, but the music on this is actually a lot of fun. I slowly memorized all of the songs and now catch myself singing them at Costco while I’m carting my son around. My son and I really enjoy this toy. When the sound is too much, we turn it off and he still plays with it. 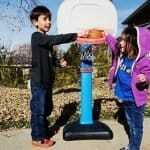 The hoop is kind of short, but it’s totally fine for younger kids. For around $40 to $45 it’s well worth it. There are lots of good magnetic toys out there. But some of them are too small or don’t work well. 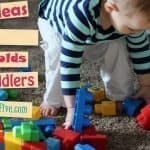 These magnetic blocks from Magformers are the best I’ve come across. If you want a generic set you can check out the one from IMDEN that comes with 92 pieces for around $25. But, in my opinion, paying a little more for the real deal is well worth it here. All of the pieces for Magformers are high quality and will last you a long time. Depending on how much you want to build you may want to get a couple of them or mix and match it with other sets. The great thing about these toys is that not only does a 1-year-old love it, but all of my kids do. It’s something they can all do together and that grows with them. It comes with a portable storage bag, which is fine. But I recommend getting a storage bin if you get multiple sets. Overall, I can’t recommend this set more. We’ve had these for a couple of years and still regularly get them out to play with. The more you have, the more elaborate the types of designs you can build. That being said, if you’re just buying for your toddler, then one set should be enough for now. There are a couple of variations of this mat you may want to look into. I like this LeapFrog version because it includes music, letters, numbers, instruments, and animal characters. But there are other versions that are a standard piano or that offer other options. The standard piano is great, and my children take piano as well, but this seems more practical for a 1-year-old boy. LeapFrog is well known for their educational toys and this one certainly falls into that category with over 50 songs and phrases available on the mat. It also has a game mode that allows them to play and make the right sequential moves. Music mode allows them to create their own tune or steps with Free Play. This toy is a lot of fun. Admittedly, your 1-Year-old won’t be able to understand the instructions at first. So, it will become more of a musical interactive toy for a while until they get a bit older. That being said, it’s a good toy for them to play with as they get a bit older. As I mentioned above you may want to go with the Click N’ Play Gigantic Keyboard Play Mats if you want something that they can strictly walk on and play. This next toy is fun and is loved by most boys as soon as they can walk. It’s a hover soccer ball that glides on the floor and lights up with LED lights. It’s a very basic toy, but it’s a great opportunity for your 1-year-old to start getting used to his feet. The gliding can very much be compared to the way a puck floats on an air hockey table. Because it hovers, it won’t scratch the surface of your floor. Plus, it’s made of foam so it can hit the wall without a problem. That being said, it’s definitely not made of steel and too much abuse from bigger kids and it’ll break. Overall for under $10, it’s hard not to like this hover soccer ball, and it’s a great gift idea for your 1-year-old or toddler. It’s fun, inexpensive, and something that all of your kids will play with for a long time. It works well over any smooth surface but won’t work on carpet. Be prepared with 4AA batteries as they are not included. 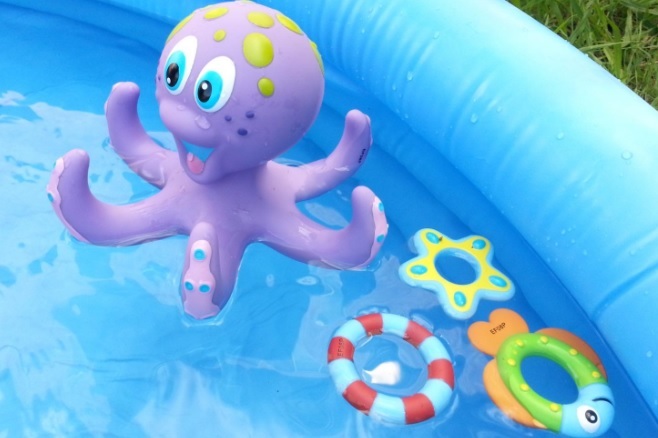 This colorful octopus from Nuby is so much fun. My son loves playing with it in the bath and chewing on it. It includes 3 rings to toss around the tentacles of the octopus. He likes to throw the rings more than actually get them on the Octopus’ tentacles, but that’s just his personality. He also brings the rings with him outside of the bath on occasion. One thing I love about this bath toy is that there aren’t any holes in it and it still floats. If you’ve ever picked up a rubber ducky full of mold you probably know why that’s so important. The octopus doesn’t leak. This is the perfect bath toy. The octopus only has six legs, but it works well with the design. My son loves how it floats, how colorful it is, and you’ll love the low price. If your child still chews on toys, I definitely recommend watching them while they play with this toy. The rings can’t be swallowed but can cause your child to gag if they’re not too careful. The plastic is a bit hard as well so it’s not something you want them falling on. This is a great toy for a 1-year-old boy that’s just getting his legs under him. It’s a fun giraffe that they can ride on. The adjustable seat means that they can use it from around 10 months clear up to around 3 (if they’re still interested). It’s a great way for a young boy to build coordination and learn to balance their legs. Depending on how tall your child is, they may be able to use this earlier or later. Plus, it may take some getting used to. The Giraffe Go and Grow does take some assembly. So, keep that in mind if you’re wanting to use it right away. What boy doesn’t want his own trike to roll around in? 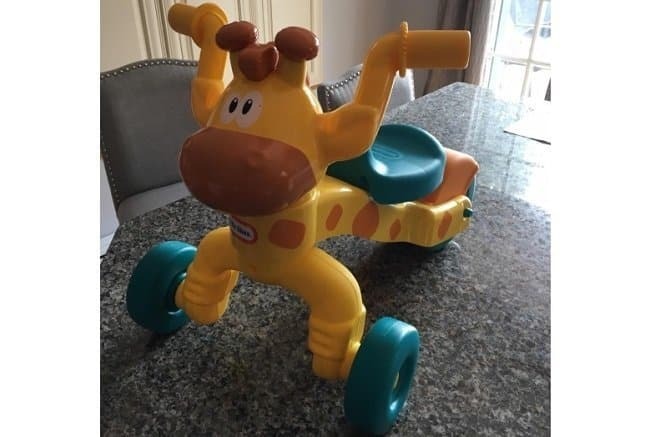 This Go and Grow Giraffe is a hit with my son and is reasonably priced at around $30. It isn’t perfect. 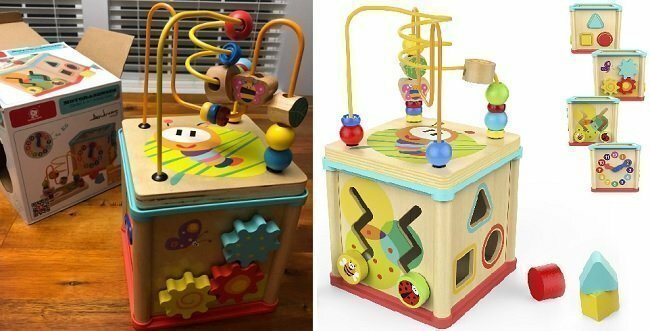 You have to assemble it, and it may take your child a few days or even months to get the hang of it. However, toys like this have a great impact on a child being able to ride a bike earlier on, which has a positive impact on their mental health as well. 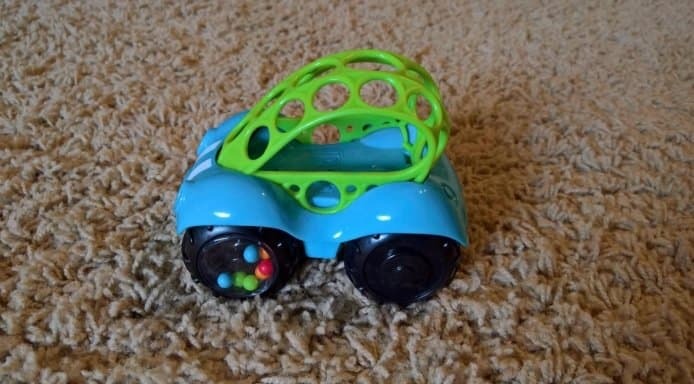 These cars are inexpensive, great for chewing, and have rattle beads on them. They’re easy to grasp because of the holes on top and they can chew on the top, the wheels, or just throw the entire thing in. The picture on the page makes it looks like you get two for the price of one but you just get the one car. Still, it’s a pretty good price for just around $5 or $6. The wheels are easy to spin or he can just roll it on the floor. Overall, this is a great and inexpensive option for your 1-year-old. He’ll chew on it, roll it, rattle it, and play with the wheels. I still wish you could pick colors; however, it’s still a good deal for around $6. This elephant is cute and fun. It’s ears flap and it sings “Do Your Ears Hang Low” to music. The way the ears move varies a bit from a peek-a-boo position to more open. 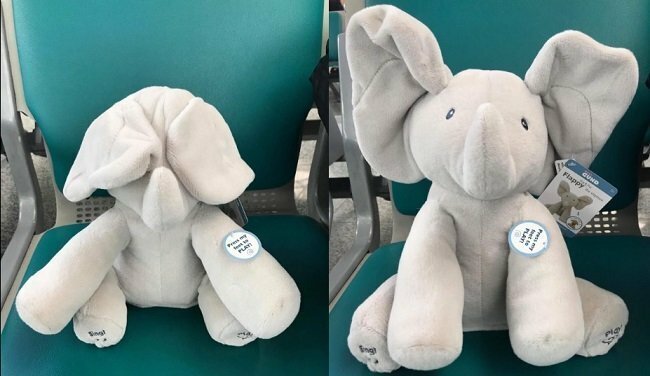 The elephant will also play the game peek-a-boo. Once you turn this on your child will come running. If I have any criticism it would be that the volume isn’t adjustable. It can get a bit loud at times after you’ve heard it a hundred times. Your child will no doubt, like mine, chew on this on occasion. So, it’s nice that it’s surface-washable. At around $30 to $40, this isn’t a cheap toy. However, it will likely come a favorite of your baby and toddler. The music and ears are so fun it’s worth the price tag for the laughs alone. Again, at times it gets a bit loud for me and I wish it had a volume adjustment. That being said that wouldn’t stop me from making this purchase all over again. Every boy I’ve had wants to be like dad. So, when dad mows the lawn he wants to be able to do it too. My boys would use their toy push lawn mowers on the lawn while I was out there. The wheels to this one are a bit low so it won’t work in tall grass. So, if you tend to wait a while to mow the lawn and are buying this specifically for your child to use outside, you may want to go with an option with higher wheels. This Little Tikes one is similar and also has popping beads. Depending on when your child walks, he may use it sooner or later. It’s definitely not a toy for helping a child learn to walk. So, keep that in mind for boys that just turned one. Other fun features for this one include a removable gas can as well as a pull cord he can pull in order to hear engine sounds. One thing for me that I liked was that this option didn’t have any batteries. Since my kids tend to leave these types of toys outside, that was a big plus. Overall, if you keep your lawn pretty short this is a great option. The popping sounds are a lot of fun and encourage kids to keep moving. The lack of batteries means your child can leave it out on occasion without worrying about breaking it. If your child is around 18 months and you’re willing to purchase a toy they can grow with, check out Lego’s My First Number Train. It should last them until about age 3 or so. The set has 23 pieces and includes two child Duplo figures as well as a cat. At $16, it’s a reasonable price for Legos, and I like the fact that there aren’t any stickers on the number figures. If your kid happens to stuff his food into it, you’ll be glad you can wash it out. With numbers that encourage learning and blocks that encourage building and creativity, this is a great toy for little kids. If you’re looking for a starter Lego set for your young one, this is a good idea. For $16 it’s definitely worth it. You have to work a bit harder to get your child to understand the numbers at this age. And I’d argue until their 3 this is mostly just for recognition, but it’s nicely painted and can be used if you work consistently with them. I love this toy and have been caught occasionally playing with it without my kids around. You build this track up in order to send cars through 2 courses and 4 levels. In addition, VTech has built-in 6 SmartPoint locations that allow the track to interact with your child. So, while your child is improving their motor skills and early language skills, they’ll be listening to songs and phrases. I’m not sure whether you’re familiar with VTech SmartPoint vehicles, but this one includes the van. Other SmartPoint vehicles need to be purchased separately or collected through VTech’s other car-based toys. Purchased separately these are a bit expensive at around $15. So, you may ultimately want to purchase other sets form $30 to $50 in order to collect more of them. This toy is a lot of fun. And if you’re willing to collect the other sets, it really is a blast. That being said, it’s quite expensive to do so. Yet, this toy can last until their at least 5 and passed down. So, you’ll have to decide whether the price tag is worth it. This is a fun toy that combines construction tools, sounds, and learning. Between the blocks, the screwdriver, chainsaw, bench clamp and other parts, this one toy can keep your child occupied for a long time. 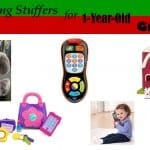 As your child plays with it it has flashing lights and engineering sound effects. This includes the saw and the drill press! If you’ve got a little builder, this is a great option and one that boys seem to gravitate towards. It’s educational, something your son will love, affordable, has many ways to play, and even has music and lights. While $40 may seem somewhat steep, it has quality parts and offers a lot of playtime. I definitely recommend it! Hopefully I’ve helped you come up with some good gift ideas for your 1-year-old boy. Ultimately, decide upon something that he already likes or gravitates toward and you can’t go wrong! How much should your child grow? Is your child ready for potty training?